Hmph! What was that? A white rabbit? Well let's just follow him down his hole and see what happens. Off to the topsy-turvy world Wonderland you'll go, meeting the most bizarre creatures and having the most fun ever. Leave your boredom behind, become Alice and have whimsical escapades of your own, whether at a Halloween Party, a school event, a Fairty Tale Theme Party, or in a play. 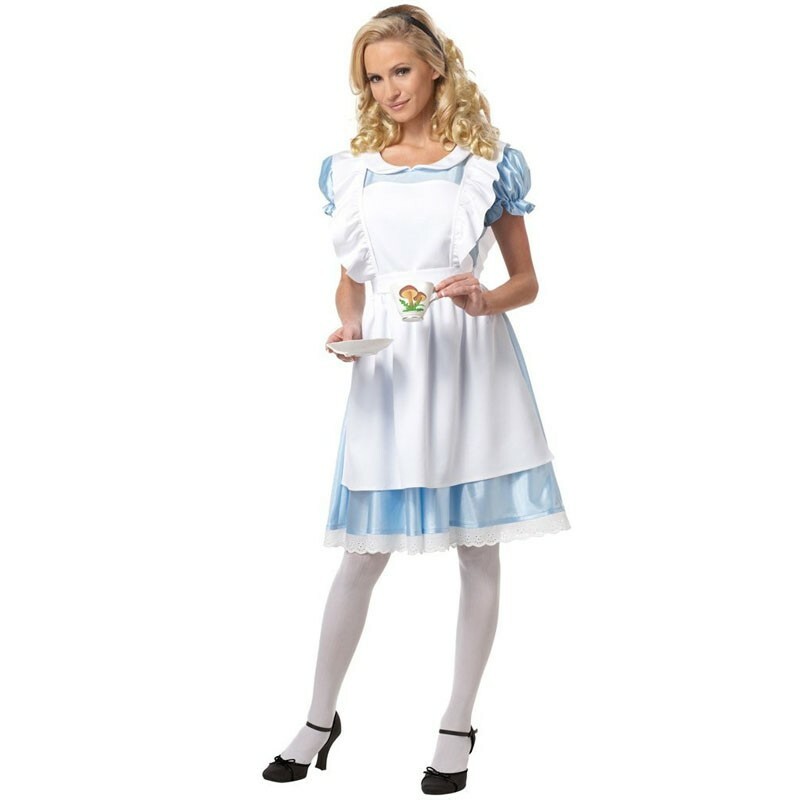 Classic Alice in Wonderland Costume includes a Blue Dress with Attached Underlace and a White Apron. X-Small (4-6), (AU 6-8) 35" 26" 36" 66" up to 110lbs.